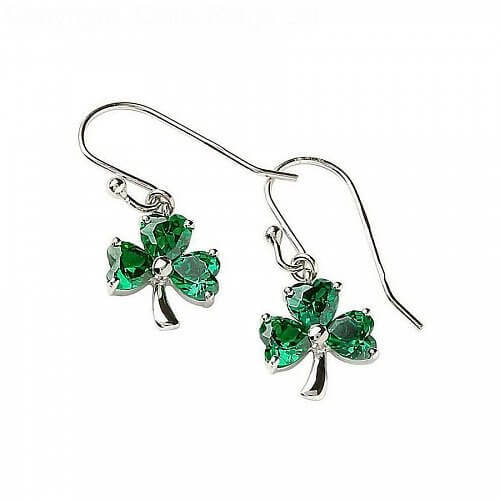 Beautiful heart shaped emerald cubic zirconias represent each leaf of the Sterling silver shamrock earrings. 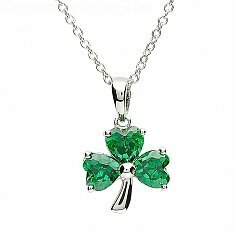 Check out our matching shamrock pendant to complete the set. 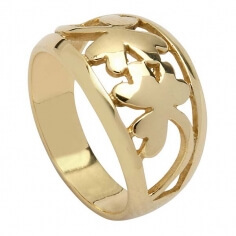 Handcrafted by artisans in Ireland and presented in a luxury jewelry box. A great way to celebrate Saint Patrick's Day.